I loved this one... mat e more than the first book. 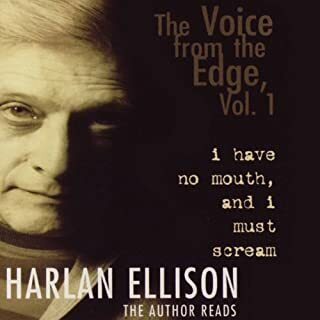 Harlan Ellison has won more awards for imaginative literature than any other living author, but only aficionados of Ellison’s singular work have been aware of another of his passions…he is a great oral interpreter of his stories. His recordings have been difficult to obtain…by his choice. In 1999, for the first time, he was lured into the studio to record this stunning retrospective. 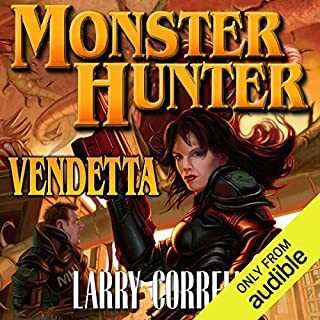 Wholly unexpected and surprising narration!! The original teleplay that became the classic Star Trek episode, with an expanded introductory essay by Harlan Ellison, The City on the Edge of Forever has been surrounded by controversy since the airing of an "eviscerated" version - which subsequently has been voted the most beloved episode in the series' history. 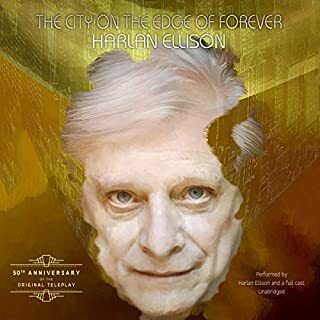 In its original form, The City on the Edge of Forever won the 1966-67 Writers Guild of America Award for Best Teleplay. As aired, it won the 1967 Hugo Award. 5 Stars Really? for this belly full of kavetching? at, it's being pissed off. I own the neigh definitive Ellison collection. He is a genius. Ellison seems a man perpetually on a mission. 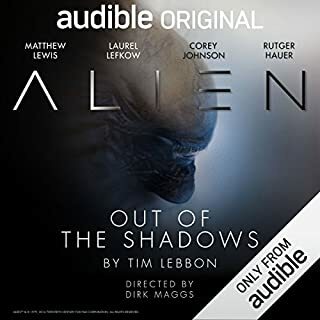 enjoyed the result of his consult in Babylon 5, and faithfully watched ALL of the Sci-fi Channel's (that's SCI-FI, not sy-fy) Sci-Fi Buzz commentaries. Preface to sayng...he is now older than dirt...and pissed off to an order of magnitude appropriate to time for said experiences in culminated in this iconic brand of pissed-off-ed-ness. This missive is drowning in epic pissed-off-ed-ness. To call this a "rant" would be to diminish the intensity of the epic pissed-off-ed-ness for which Ellison is known. From his first statement read himself, it is evident, this has been a point of contention. ... for a VERY long time. 1966 was a fair piece ago. This reader was but 7 years of age... and Star Trek was the best thing on television, and City on the Edge of Forever was the best of the best. That's a long time to be ticked...and in his intro, it ALL comes boiling over. Couldn't he just give us the facts and story without the tirade? Just the info without ripping the collective guilty to shreds in bloody spectacle of enraged verbosity? If he did, it wouldn't be Ellison. ...and we wouldn't care to read / listen to it. It's a long time to hold the grudge. Today, 30 years after the fact, Ellison is older than dirt and still above it. His voice, from the immutable edge, is rapier sharp. And the bitterness is deadly. if you REALLY want to know, here are the facts. 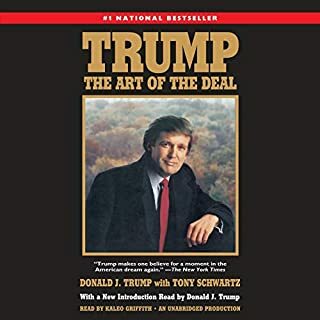 If you haven't read it. (and if you haven't Ellison's original script for City on the Edge of Forever, how can you call yourself a Trekkie?) here it is. If you like bonuses like alternate versions and endings, here ya go. The facts are delivered with BITE. The expletives and blasphemy are exactly what any Ellison reader...even the reader of but a single tale... will be expecting. I didn't say "like", but you know it's coming. I won't bid you, "gentle reader", a good read / listen, though I doub'r you will ever forget even a single encounter with Ellison. I will tell you the roller-coaster has no safety belts or bars! I will tell you to hold on for your life!!! THIS IS ELLISON, AND HE NEVER, EVER, HOLDS BACK. 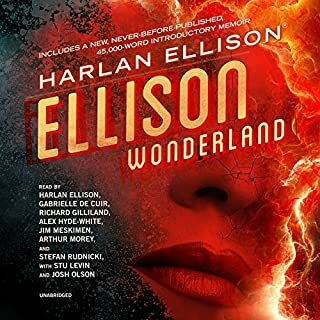 Anything less would not be Harlan Ellison. Anything less would not be worth the effort. This, for better and worse, is the master of wit, and edge, and words. As salty as ever and more: Harlan Ellison. Discover the moving, true story of the Native American named Squanto, who is captured from his beloved Pawtuxet tribe, taken to Spain, and sold into slavery. 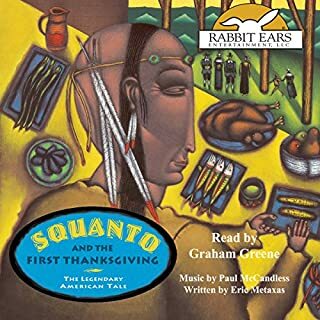 Years later, Squanto regains his freedom and embarks on a miraculous journey back to his homeland where he teaches the Pilgrims how to survive the difficult early years in the Plymouth colony - culminating in the first Thanksgiving celebration. AT LAST! THE OTHER SIDE OF THANKSGIVING STORY. just a simple comment. 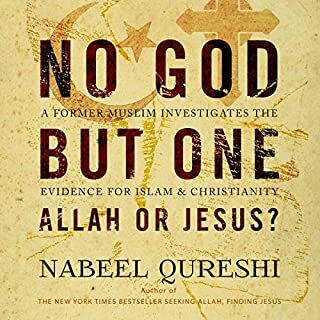 If more of his critics read his books they'd have little to say. Four classic science-fiction stories: 20 hours of great listening. 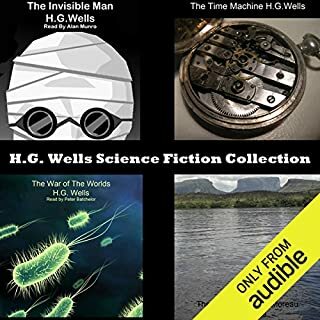 This collection of classic Wells tales includes The Invisible Man, The Time Machine, The War of The Worlds, and The Island of Doctor Moreau. thw only reading worth lustening too is the last,....and ut doesnt justify the cost of the. whole package. this lot was no bargain. As a child, Chris Hooper dreamed of monsters. But in deep space, he found only darkness and isolation. Then, on planet LV178, he and his fellow miners discovered a storm-scoured, sand-blasted hell - and trimonite, the hardest material known to man. 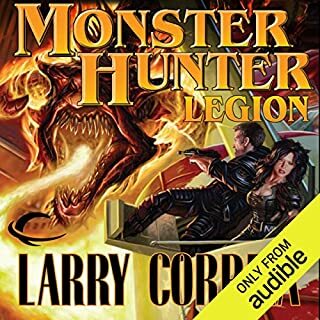 When a shuttle crashes into the mining ship Marion, the miners learn that there was more than trimonite deep in the caverns. There was evil, hibernating and waiting for suitable prey. fun times. no joy in th end. that's how it goes. fun times. no joy in the end. that's how it goes. this is a great in betwen story that could have never hsppened..